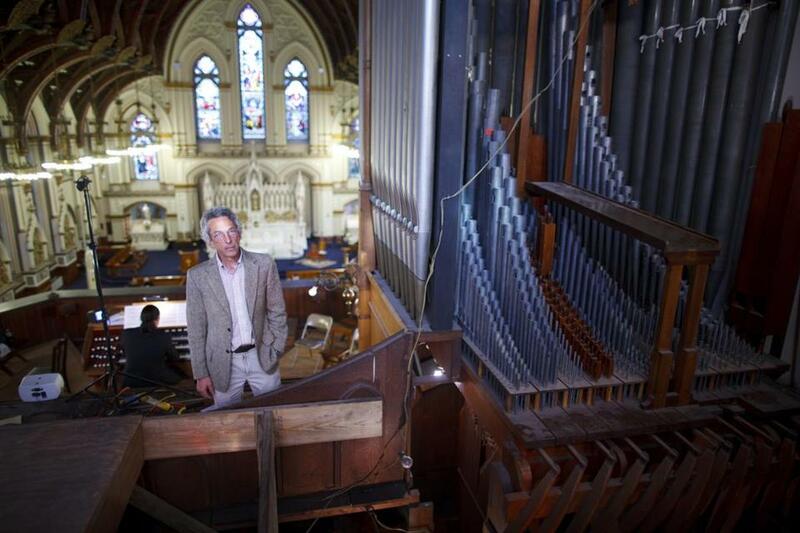 Lee Eiseman, 66, has been caring for the organ at Charlestown’s St. Mary’s Church since 1974, when the classical music aficionado and energetic tinkerer made a promise to organ builder Charles Fisk. The same majestic pipe organ has filled Charlestown’s soaring St. Mary’s Church with music for 121 years. But that original, unaltered 3,000-pipe organ would have given up the ghost decades ago if not for an unlikely caretaker: Lee Eiseman, a secular Jew who has spent thousands of volunteer hours toiling on the organ high above the empty church, but who has never sat through an entire Mass. Eiseman, a 66-year-old classical music aficionado and energetic tinkerer, came to care for the 1892 instrument because of a promise he made to the 20th century’s foremost classic organ builder and restorer, Charles B. Fisk, in 1974. “Look after it and keep it alive, because it’s very important,” Fisk asked after Eiseman moved into the neighborhood, just a few blocks from the church. Eiseman agreed, though he never expected he would be at it this long. Unable to walk away from the magnificent mechanical organ, he has kept it operating through thousands of weddings, funerals, and morning Masses with jury-rigged repairs, always while hoping to persuade a succession of priests to invest in a full, professional restoration. “As all things do that are temporal, there comes a time when they need refreshing. . . . Happily, we’re able to say we have a plan to bring the organ back to its renewed and restored state,” the Rev. James J. Ronan, pastor of the merged St. Mary-St. Catherine of Siena parish, said at a concert Sunday afternoon to demonstrate the organ’s warmth, range, and power — and to announce the restoration plan. It is a six-month, $250,000 project that involves disassembling, repairing, or replacing, thousands of fragile wood, metal, leather, and fabric components in the Woodberry & Harris organ. The parish is using money from the sale of the St. Catherine’s property for half the cost and plans to raise the rest through donations over the coming year, before the Andover Organ Co. begins work. None of this would have been possible without Eiseman. “[He] has given his time and his talent over and over again to climb into the organ and, one way or another, with Scotch tape and masking tape and baling wire and whatever else, found ways to keep our organ going,” Ronan said. When the church was finally ready, Eiseman lent his expertise to writing the bid specifications and helping parish leaders select among half a dozen bidders. Not that Eiseman came forward to acknowledge Ronan’s public recognition. A modest man with a wiry build and a wry sense of humor, he was out of sight, high up in the organ loft. Just a few moments earlier, he had climbed inside the belly of the instrument — wearing a tweed jacket and clutching a spelunker’s head lamp — to make yet another last-minute repair before the concert, fixing a stuck note that could be traced to one of a myriad of chopstick-thick wooden connections known as trackers. Asked about his work in an interview, Eiseman initially demurred, then told a story. Back in the mid-1970s, after a few months of responding to musical emergencies, he leveled with the priest, one of Ronan’s predecessors. “I kept saying, ‘It can’t go on; it should have been fixed 10 years ago. I can’t promise we can keep it running. It has no business still being playable,’ ” Eiseman recalled. And yet the organ, fragile and friable, still works — to Eiseman’s amazement as much as anyone’s. “I compare it to Hanukkah,” he said, invoking the story of how a tiny bit of oil in the temple at Jerusalem miraculously lasted eight days. Ronan smiled when he heard about the Hanukkah analogy. They have become good friends, the priest and the neighbor, intellectually curious men in their late 60s with varied interests and a shared love of sailing. Ronan, a Dorchester native who preaches in English and Spanish, has a doctorate in psychology and was a college dean before entering the seminary. Eiseman, who was born in New Orleans and came to Boston in the 1960s for school, publishes the Boston Musical Intelligencer, which promotes and documents the local classical music scene. He worked with Fisk — the great organ builder who had previously been a Manhattan Project physicist — as an apprentice after a chance meeting outside Harvard’s Memorial Hall but decided in his 20s that he did not have the patience to devote all his time to the craft. Fisk was the one who told Eiseman to look in on the Charlestown organ when he moved to the neighborhood in 1974. On his first visit, he was blown away by both the instrument and the breathtaking interior of St. Mary’s, designed by the noted church architect Patrick Keely, with its dazzling stained-glass windows, delicate wainscoting, and hammerbeam ceiling. Then Sykes climbed to the loft, to play Cesar Franck’s Chorale No. 3 in A minor. In a front pew, 4-year-old Fiala Kraman turned her head to the sound, mouth agape at the rich, complex music soaring from the pipes. 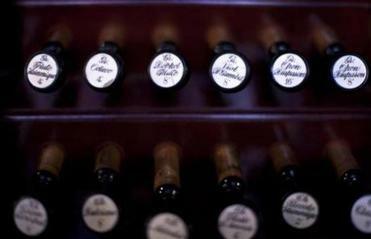 Out of sight in the loft, Eiseman closed his eyes, losing himself in the sound of the organ. For more information, visit the Saint Mary – Saint Catherine of Siena Parish website.